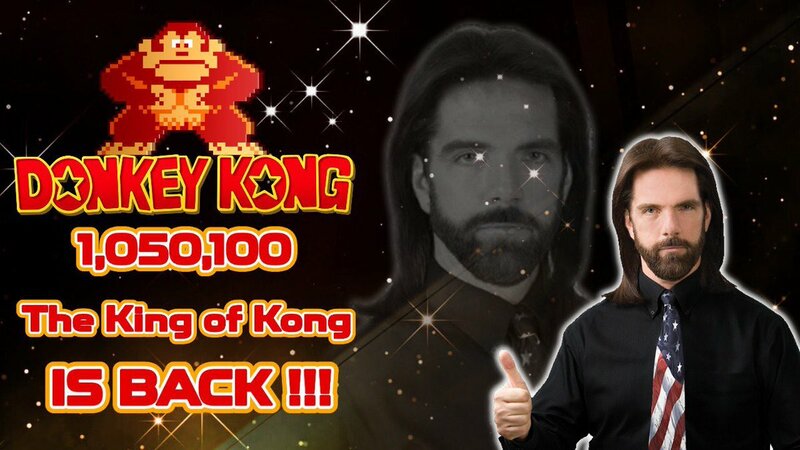 Re: Billy Mitchell's a cheat. Reading all the Todd Rogers stuff, at the time I kept thinking, well Billy Mitchell was faking it too. Surely anyone who's seen TKOK knows his records were always shady as ****. It's about time someone proved it. LOL twin galaxies. Screw those old **** who know NOTHING about the games that came out after 1985. PrincessPrinPrin wrote: LOL twin galaxies. Screw those old **** who know NOTHING about the games that came out after 1985. Last edited by LEGENOARYNINLIA on February 7th, 2018, 9:28 am, edited 1 time in total. Seems clear his submissions break the rules (i.e. emulation)? Seems a little less clear if he's a genuine cheat? ...But that the implication seems to be there's no reason someone like him would use emulation unless it was to cheat? He's a creepy guy, and I don't like anything about how he puts himself out there, but ... still... just kind of disappointing to find out he could be totally full of BS. I suppose with this and the Todd Rogers ban (https://m.hasntfiguredouthowtoembedyoutubeproperly.com/watch?v=8e-H4sEHB54) it's a good opportunity for the owner to get some publicity by kicking out the old ****. Is TG relevant at all to anyone outside Fun Land? All the exciting stuff is from Speedrunners live streaming their entire journey. TG's rules, like no-glitches, always seemed impossible to put into practice. I love the King of Kong film but with the amount of fiction in it, I always assumed it was pretty unfair to the Twin Galaxies oldtimers. Now it's looking more like they painted a very fair picture, just fibbed to fit it in an hour and a half. gray117 wrote: Seems clear his submissions break the rules (i.e. emulation)? Pretty much, Mitchell doesn't know how to play the game well enough to get the score he did, so he save-stated and replayed the game over and over until he got the right RNG to keep him on the score pace he needed. Billy just matched his score on a live Twitch stream. Claims the controversial tapes were submitted by a hater when TG lost the originals. From what I’ve gathered the faked tapes claim is nonsense for a lot of reasons. However I think it’s always been very possible he’s played on emulators in the past without even realising it. This is his best character defence that I can think of. Every dubious thing he’s said on the matter could be explained by this misunderstanding. Without trawling the relevant megathreads, did he at least play in the same style as he did on the tapes? Because nobody before or after him has played like that, and the amount of luck needed for his chosen strategy is one of the reasons that makes his runs being tool assisted so likely. Oh yeah, I forgot about that table showing an extremely unlikely amount of 800 point bonuses*. That pretty much squashes my accidentally-emulated excuse for him. Erm, what’s that table showing exactly? I wrote the above assuming it was proof but I don’t see it. The bonus average isn’t unusually high, doesn’t it just show that he picks up the hammer more often? He’s the best cringe character ever created ...surely?